How the Normal Hair Growth Cycle Works? The pattern for growth of human hair is a continuous & ongoing process. 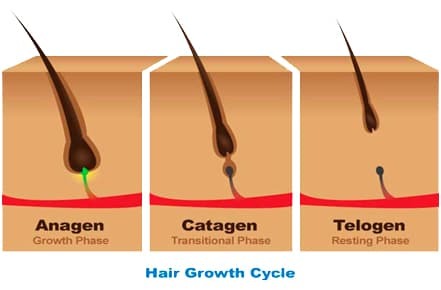 The hair growth cycle in human beings is identified in 3 phases called as Anagen (growth phase), Catagen (degradation phase) and Telogen (resting phase). This normal hair growth cycle applies to all hairs which are parts of the body; however their duration may vary for each part of the body. To sum it up, we lose up to 50-100 hairs each day and the same keep growing as well in a cycle. This is normal process and does not need any treatment. The life cycle of each hair follicle can be influenced by age, disease and multiple other factors. Every follicle contains a dynamic hair root from which hair leaves the skin and develops. In the modern era, chronic hair loss has emerged to be a most common problem in all over the world. Hair loss issue is rising at an alarming rate. Both men and women are facing troubles due to this concern. Different cities in India have got different rate of hair loss. The main metro cities like Delhi, Mumbai, Chennai and Bangalore are increasing at an alarming rate of 25% to 30%. Hair loss is a more common problem in men as compared to women. Excessive hair loss can result into baldness over the scalp. Some autoimmune diseases tend to develop antibodies against the body cells & tissues which further attack the hair and other body parts. Generally, people do not bother about their excessive hair fall in the earlier stages. They let their hair loss problems untreated and at the later stage (when baldness starts to occur), they try to cover the bald spots with makeup, hats/scarves, hair styles etc. People having high level of baldness also make use of wigs or patches as temporary solutions. Do not wear your hair up too tightly. If you want to tie your hair, then you can use a clamp instead of using a rubber band. In order to reduce the occurrence of brittle hair ends breaking off, you should diminish the use of dry heat on your hair. Do not comb on wet hair; it can result into intense hair fall. If you have dry scalp, then you should not take hair bath on daily basis; wash your hair twice or thrice a week. Make use of mild shampoo & conditioner. The choice of suitable shampoo & conditioner plays an important role. Analyze your scalp conditions before choosing any hair product or you can take the advice from an expert as well. Taking care of internal health issues remains to be a major area to be focused. The stress needs to be reduced in people who look forward to keep their loss of hair in control. If hair loss problem has become common today, then it is also the same with hair loss prevention & re-growth treatments. At present, hair loss/baldness is nothing, but a small issue which can be dealt in the best possible way with appropriate hair restoration procedures. As a matter of fact, the doctors have come up with multiple interesting solutions nowadays; because they understand that people want to stop hair loss, whether it would be temporary or permanent. You can definitely get to see the full results within a specific time period if you follow the best possible medications or treatments properly. The advanced hair loss treatments will make you able to get your lost hair, good appearance and confidence back. How Important is to Diagnose Your Hair Loss? The thorough evaluation plays a significant role in the successful treatment of hair loss & baldness. Knowing about the exact causes of hair loss in advance helps both the patient & the doctor to carry out the treatment procedure in a smooth & effortless manner. However, experts’ advice for a thorough check up before the procedure needs to be implemented. You’ll be asked by your doctor about your medical history, family history or some other essential aspects. Thus, proper diagnosis is mandatory to extract the effective outcomes from hair restoration procedure, whether surgical or non-surgical. Nowadays, there are many advance technologies in the market to overcome hair loss/baldness. The entire process of hair loss treatment is called the hair restoration; the first is surgical and other is non-surgical. Treatments for hair loss include medications, PRP therapy, artificial hair restoration, hair transplant surgery. Some of the people go for surgical hair transplant procedures like FUE, FUT etc; while others opt for non-surgical hair restoration options. These procedures help the patients to get back hair on the hair loss affected area, where growth is thin or missing. 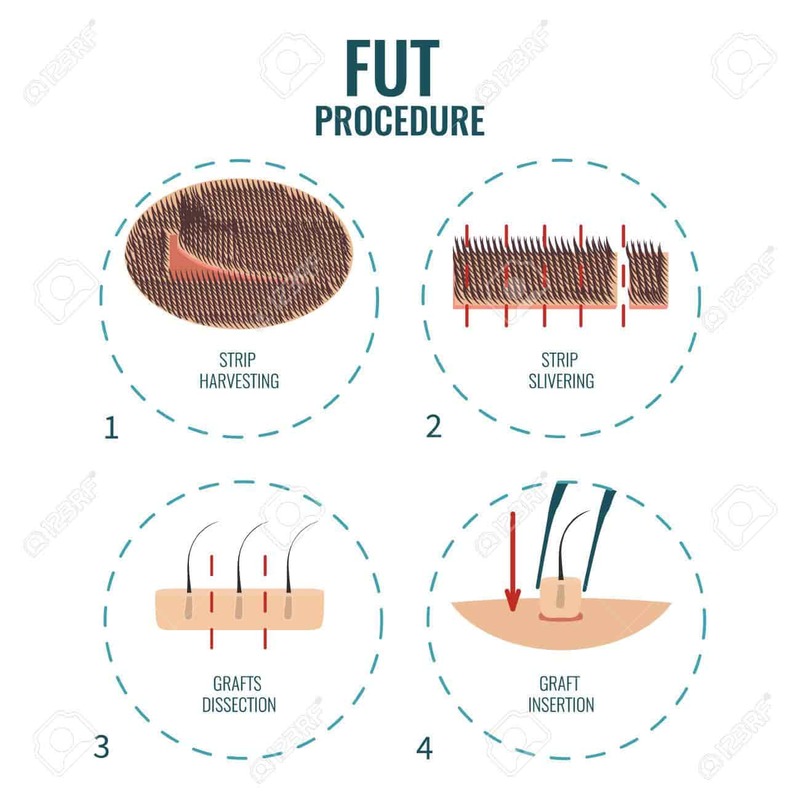 Hair Transplantation is an artistic and surgical method, with the help of which the active hairs from rear and side of the head are extracted and then implanted to the bald areas. The whole procedure is done by applying local anesthesia. 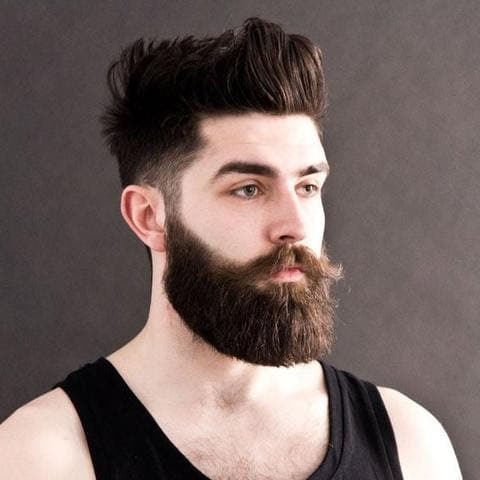 The hair transplant surgery is generally performed with two of the common techniques i.e. FUE & FUT. 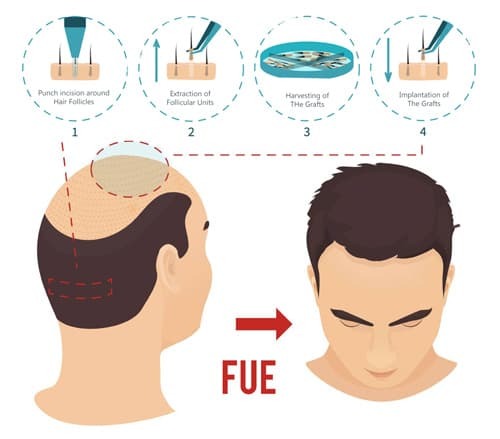 Both FUE and FUT hair transplant are safe procedures without significant risks or complications. The beauty of surgical hair restoration treatment is that the transplanted hair growth is completely natural & long-lasting. Generally, the hair transplant procedure takes single day, but the patient is advised to rest for at least 3-4 days after the surgery. 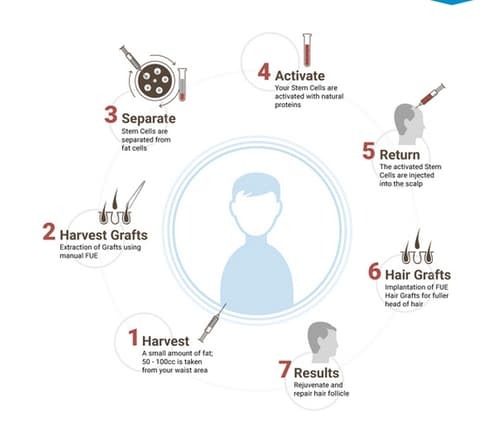 The count of hair grafts depends upon the degree of your hair loss, more hair loss affected area–more the number of grafts you need to implant. The visibility of hair starts from 4-5 months following the surgery and after 8-10 months, patient's transplanted hair will be fully mature and will continue to grow for a life time. Very often, people adapt temporary strategies to combat loss of hair. 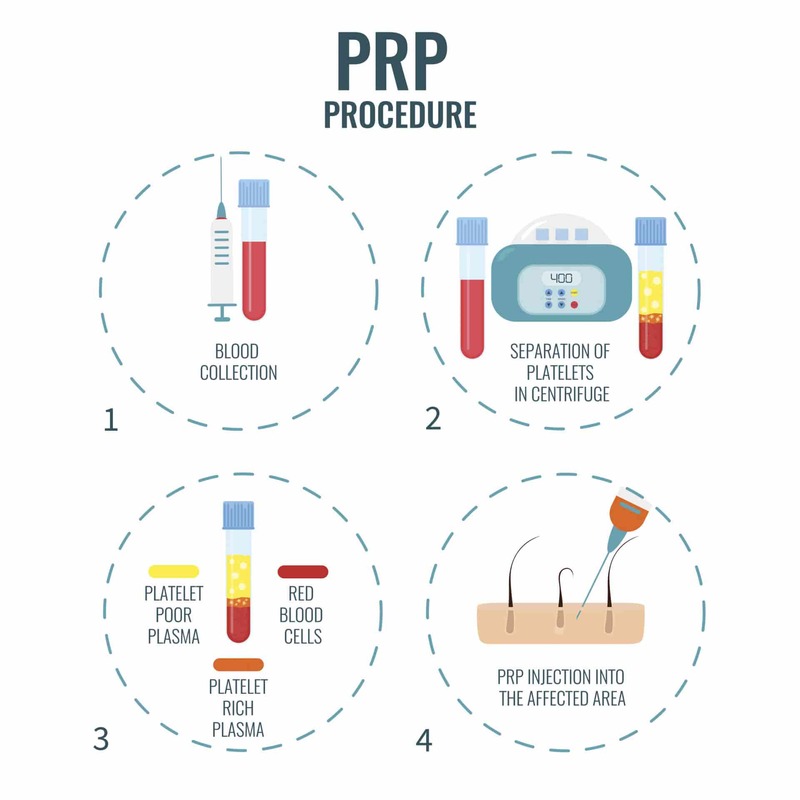 The patients do not have the requirement of multiple sessions or visits to the clinic if they opt for non-surgical hair restoration treatment. 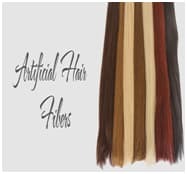 Hair weaving, hair extensions, wigs, hair patches, PRP therapy, medications etc come under the category of non-invasive hair replacement solutions. It is difficult to analyze the difference between artificial & original hairs as it will look like your natural hair. The hair loss sufferers can restore their hair by opting for these non-surgical treatments; thus getting rid of hair loss/hair fall problem on temporary basis. Why FCHTC is recognized as the Best Loss Treatment Centre in Ludhiana, Punjab? Being at the forefront of invasive & non-invasive hair loss treatments with high success rate, we at First Choice Hair Transplant & Cosmetics feel pride and immense pleasure. The most wonderful experience for us is to provide our patients with utmost satisfaction, happiness, confidence and the hair of their dreams! !